Having a portfolio that not only speaks to your style but your environment as well is hard to find ... until now. Our Silver Recycled Kraft Letter Snap Portfolios are 100% recycled all the while keeping your professional style in mind! And the unique, textured dot pattern appeals to the masses. From the feel to the look, these portfolios are a great accessory to any document. Portfolios feature a V-flap and a metal button snap closure. So those documents, whether for work or for home, won't ever fall out. The protective finish will keep all of your documents safe from bending or tearing too! Not to mention the great silver color that will compliment any kind of work place. Whether you need this for a corporate office or a small family owned company, this portfolio will make your professional style double! 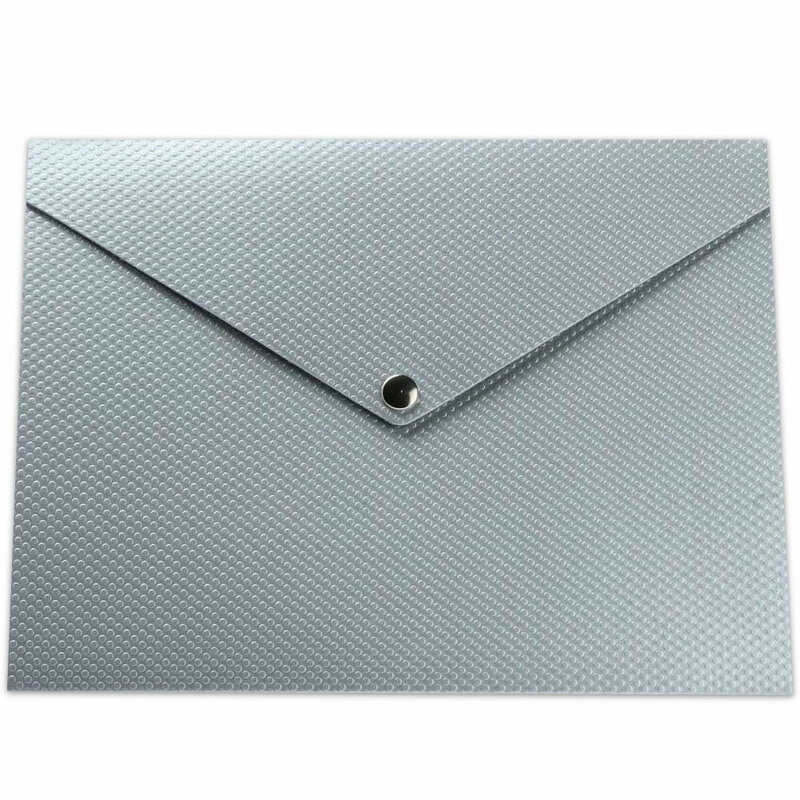 Silver Recycled Kraft Letter Snap Closure Portfolios are 9 ¼ x 12 ¼ x ½ (also known as letter size).